Hyundai IONIQ, available from Stacey's Motors in Bridgwater, Somerset. Hybrid . Electric . Plug-In Hybrid . 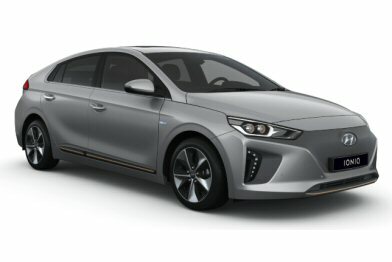 The Hyundai IONIQ: the world's first car with three different electrified powertrains. The Hybrid, Plug-in Hybrid and Electric, all designed with your lifestyle in mind. These figures were obtained after the battery had been fully charged. The IONIQ Electric is a battery electric vehicle requiring mains electricity for charging. Figures shown are for comparability purposes; only compare fuel consumption, CO2 and electric range figures with other cars tested to the same technical procedures. 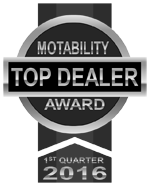 These figures may not reflect real life driving results, which will depend upon a number of factors including the starting charge of the battery, accessories fitted (post-registration), variations in weather, driving styles and vehicle load. * There is a new test for fuel consumption, CO2 and electric range figures. The electric range shown however, was achieved using the outgoing test procedure. These figures were obtained using a combination of battery power and fuel. 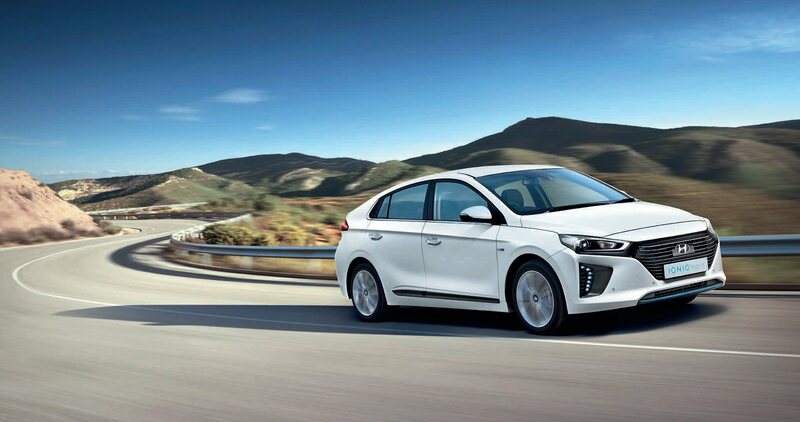 The IONIQ Plug-In is a plug-in hybrid vehicle requiring mains electricity for charging. Figures shown are for comparability purposes. Only compare fuel consumption, CO2 and electric range figures with other cars tested to the same technical procedures. These figures may not reflect real life driving results, which will depend upon a number of factors including accessories fitted (post-registration), variations in weather, driving styles and vehicle load. * There is a new test for fuel consumption and CO2 figures. The CO2 figures shown, however, are based on the outgoing test cycle and will be used to calculate vehicle tax on first registration.